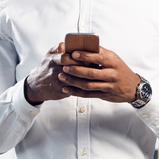 Investment Summit matchmaking connects hundreds of global business investors and U.S. economic developers and service providers, generating investment deals and success stories in the process. This tool helps you quickly find the people you need to meet at the Investment Summit! Why Use the Matchmaking System? 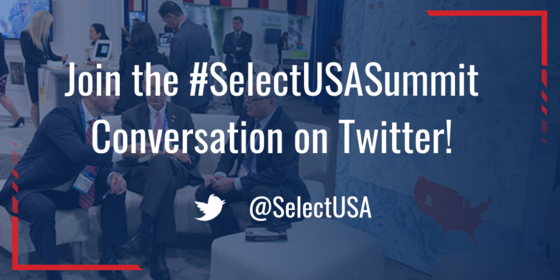 The SelectUSA Investment Summit is the highest-profile event dedicated to promoting foreign direct investment in the United States. This signature event provides an unparalleled opportunity to bring together companies from all over the world, economic development organizations from every corner of the nation, and other parties working to facilitate business investment in the United States. Featuring senior government officials, C-Suite business executives, and other thought leaders, each summit focuses on a timely theme related to the U.S. investment environment, industry trends, and new opportunities. For more information, please visit www.selectusasummit.us. For more information on SelectUSA and its services, please visit www.selectusa.gov. This message was sent to you from SelectUSA within the U.S. Department of Commerce's International Trade Administration. To unsubscribe or update your subscriptions, please visit the User Profile Page. Find out how the United States is supporting foreign direct investors on the federal, state, and local level at SelectUSA.gov. P.S. If you have any questions or problems, please visit subscriberhelp.govdelivery.com for assistance.